The holidays are a joyous time of celebration and togetherness, but they can also involve stressors that make the season a challenging time for seniors. Disruptions to routine, memories of loved ones lost, and circumstances that limit participation in festivities can all be sources of stress, isolation, or depression. Here are some tips to help avoid stress and loneliness during the upcoming holidays. Acknowledge loss and discuss memories of loved ones.The holiday season is rich with memories, which often become especially powerful as we age. 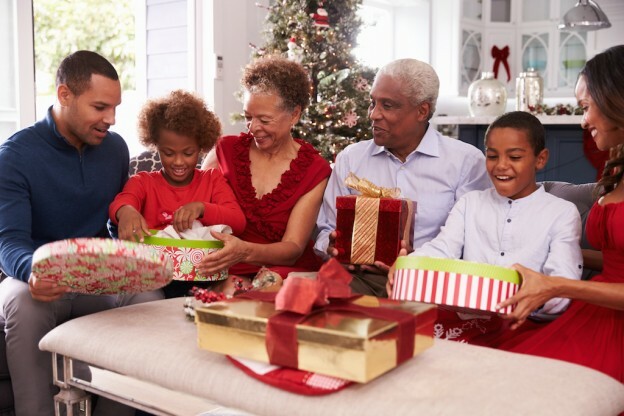 Trying to combat feelings of loss with cheer and holiday spirit might be well intentioned, but often your loved one simply needs to honor those memories with a trip down memory lane. Taking the time to listen and reflect with them may be the solace they need. Plan festivities that are easy for older relatives to join in. Keep the limitations of older loved ones in mind as you plan your holiday festivities. If they are not very mobile or tire easily, modify activities so that they can still participate without becoming overwhelmed. Make your home accessible. If you are hosting your family’s holiday gathering and know older relatives will be attending, make sure your home is accessible and safe. Remove obstacles that could cause falls (i.e. throw rugs), and avoid rearranging furniture as it can contribute to confusion or anxiety. If they are spending the night in your home, make sure to provide a first-floor sleeping arrangement. Watch for signs of stress or depression. If your loved one starts exhibiting signs of stress—withdrawing from gatherings, showing little interest in activities, or a change in eating or drinking habits—they may need to take a break from the festivities for a while. Ask them how they’re feeling and what they need. Signs of depression should always be taken seriously. When in doubt, think NOEL: Note the effect of the environment and activities on your loved one. Observe normal routines as much as possible to minimize anxiety and agitation. Expect to adapt your traditions to celebrate with seniors. Limit the expectations you place on yourself and the day. Just because traditions may change doesn’t mean the holidays can’t be joyous all the same. This entry was posted in For the Family, Health & Wellness on December 17, 2015 by Molly Geipel.